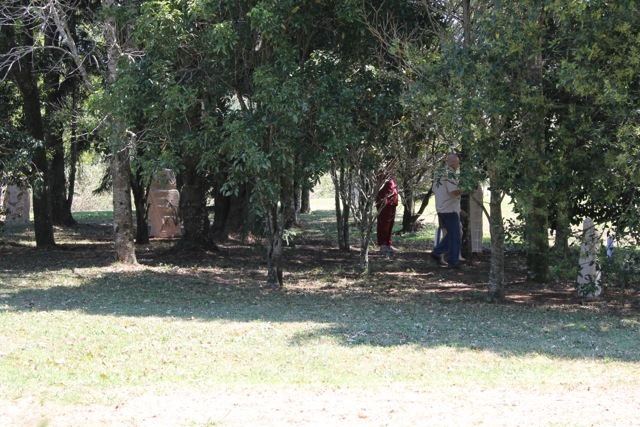 On the 6 October the public were able to access three Creative Spaces 2012 activities: Noela's installation of sails - Sailing Inland; Cathy and children's display of the Creatures of the Obi Obi in the Maleny Library; and the sculptural installation Peace in the Trees. 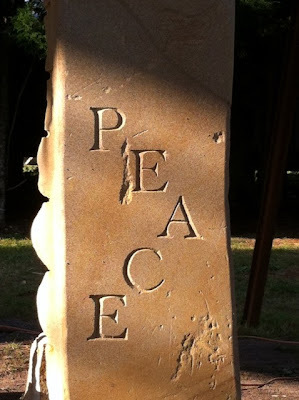 The Peace in the Trees sculptural installation of 12 sandstone monoliths is located in trees at Maleny Retreat. The monoliths were carved by 12 local artists who volunteered two days of their time to create pieces that reflected nature, the environment or some aspect of peace and peacefulness. 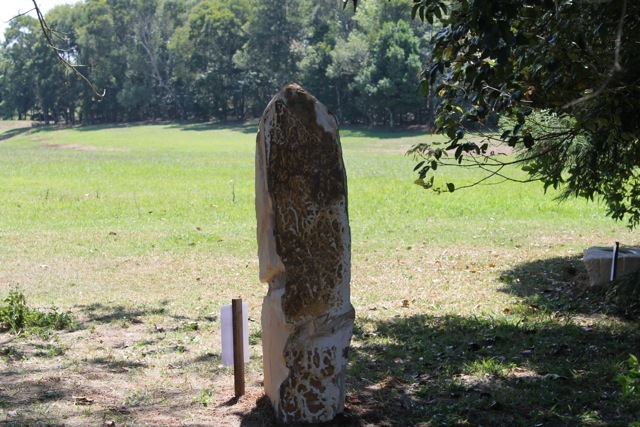 Wendy van der Drift is a member of art4place; and she and other residents of Maleny Retreat (Maria, Michael and Roman) gave permission for this installation to be carved, installed and open to the public at certain times. On Saturday 6 October the installation was open for the second time between 10am and 4pm. As you can see from the photos below couples and small groups of visitors took the opportunity to view this unique sculptural installation. 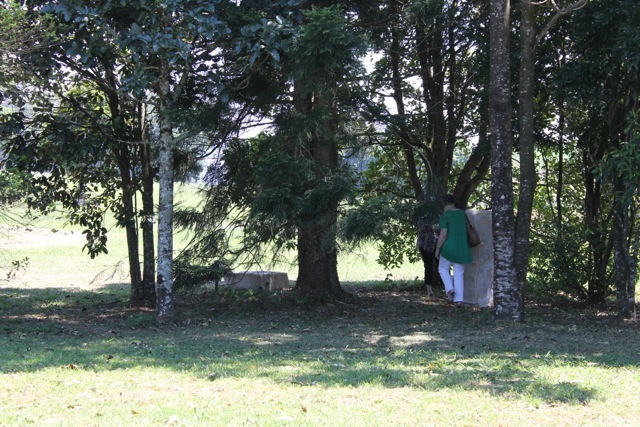 As visitors meandered through the trees they could stop and reflect on each of the monoliths - the 12 artists had provided a brief description of the message behind their work. 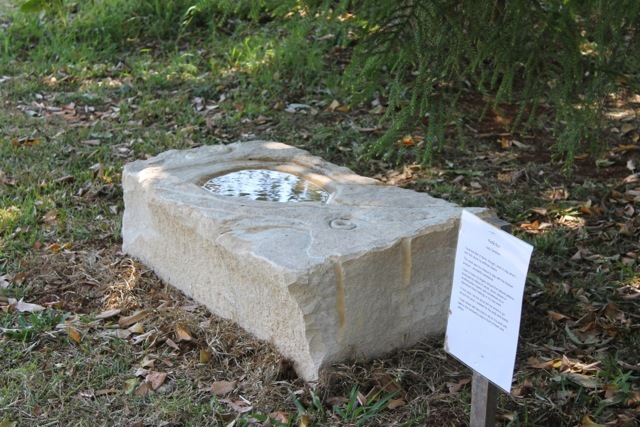 To some visitors it may have seemed that the 12 artists have made but a small impression on the large stones as much of the stone remains natural and unmarked by chisel and hammer. 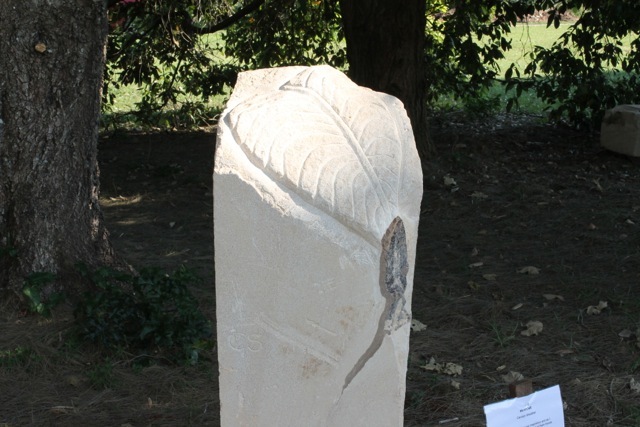 One of the important aspects of this placemaking art installation is to let the combination of sculptural work and the stones themselves tell their story - nature will continue the creative process. 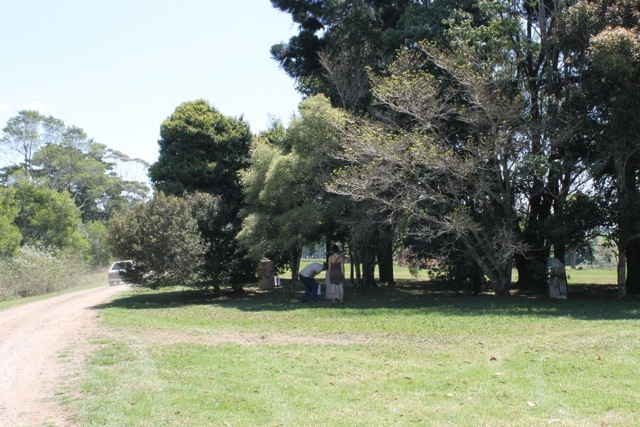 These monoliths will peacefully merge more with the trees as they age; and visitors will be invited to reflect on peace and the natural environment that is so much a part of Maleny Retreat.